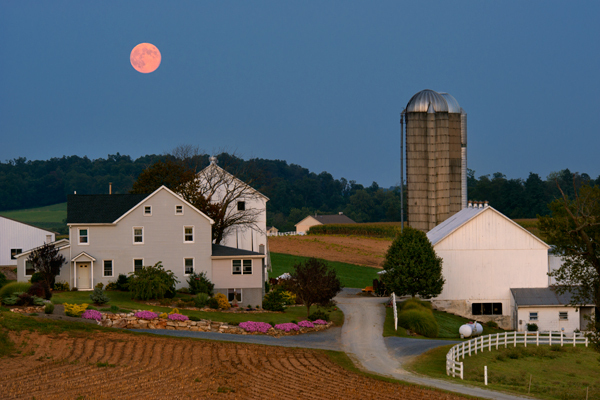 This is last evenings blue moon as it began to rise behind this local farm. From what I understand the term refers to the second full moon in the same month. I decided on this location after conferring with the photographers ephemeris, which shows sun/moon rise and set for photographers planning shoot locations. By moving to camera right about 40 feet,the moon was coming up right between the house and barn,but the tree on the right was blocking the barn,so I had to go with this instead.Shot from my truck roof,which had the Amish wondering who this nut was on top of his truck.